Airfare, Airport taxes, Visa charges, Over-seas Mediclaim Insurance. Welcome to Genting Highland Highlands!!! City of entertainment! The highlands are at about 1760 meters above sea level, from the top there is a gorgeous view of the valley in which Kuala Lumpur is situated. Arrive at the Kuala Lumpur International Airport. After clearing Customs & Immigrations you will be met by our local representative and transferred to your hotel on Seat in Coach Basis at Genting Highland. Check in at the Hotel. Overnight at your hotel, Genting Highland. Enjoy breakfast at the hotel. Today enjoy the Genting Highland snow world. Snow world in the theme park of Genting Highland highlands is a great way to feel the chill and carve your own snowman. The snow world is not just about an artificial snow park but also has different attractions and intricately designed interiors that will make you travel into a world of snow. Overnight at your hotel, Genting Highland. Enjoy breakfast at the hotel. 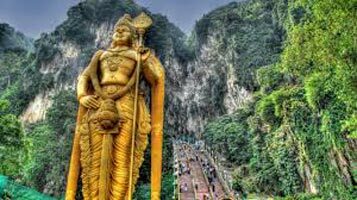 Check out from Genting Highland Hotel and transfer to Kuala Lumpur by road. Kuala Lumpur is the capital city of Malaysia, boasting gleaming skyscrapers, colonial architecture, charming locals, and a myriad of natural attractions. Divided into numerous districts, its main hub is called the Golden Triangle which comprises Bukit Bintang, KLCC and Chinatown .Check in at the Hotel. Overnight at hotel, Kuala Lumpur. Enjoy breakfast at the hotel. 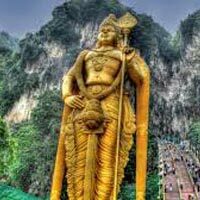 Today you will enjoy half day city tour of Kuala Lumpur. Half-day Panoramic City tour of Kuala Lumpur City offers offers a variety of historic sites and monuments, including the world famous Petronas Twin Towers, King's Palace, National Monument, National Museum, National Mosque, Sultan Abdul Samad Building and the Cricket Club. Overnight at hotel, Kuala Lumpur. Enjoy breakfast at the hotel. Check out before 10.00 am and you will be met by our local representative at the hotel lobby for your transfer to Kuala Lumpur international Airport. GST is not included in the price. The same will be charged on the total package cost payable. Child Policy: 3 years old to 12 years old. Actual rate of exchange will be applicable at the time of payment and as decided by the Company. No refund for un-utilized tour or cancellations which may occur due to weather conditions. All SIC rates are based on minimum guests traveling. Change in the number of guests could lead to a change in the cost of the package. Above rates are not applicable during event/peak season surcharge periods. The rates for these periods would be advised at the time of booking. All packages are subject to the Terms and Conditions of the Company. Please read and understand all the terms and conditions before confirming. In the event of non-availability of the quoted package, an alternate similar category hotel would be offered. All above rates are based on special land combinational prices. No reduction or refund is applicable if one or all of the services are withdrawn. Company reserves the right to furnish fresh quote for the package with additional or different inclusions from those offered in the above quote. We reserve the right to reroute /amend the day wise program due to unforeseen circumstances such as change in flight schedule , change in sightseeing tours operating timings, hotel availability etc . The above rates are subject to change due to any changes in airlines, taxes etc. The above is calculated as per 1USD – INR 68 as of date.